A spokesman for CMS said the agency stands behind the findings documented in its inspection reports and the notes that support them. The inspector’s notes shed new light on how doctors at the hospital accounted for poor transplant outcomes that triggered federal scrutiny and led to the loss of Medicare funding. Combined with other details made public in recent months, the notes suggest a tense and dysfunctional transition more than two years ago as the heart transplant program, long known as one of the best in the nation, made staffing changes aimed at improving care. Additional records reviewed by ProPublica and the Chronicle reveal this was not the first time the renowned transplant program has had an unusually high rate of patient deaths and considered changes. According to the CMS inspector’s notes, the unnamed physician whose job description matches that of Civitello explained that a “very good” surgeon was hired to replace an aging surgeon, but the replacement “eventually left in frustration.” Dr. Hari Mallidi joined St. Luke’s as a top transplant surgeon in 2012 and left in mid-2015 for a job at a Harvard-affiliated teaching hospital. “That left the program with an old surgeon and an inexperienced surgeon. Had many deaths in a short period of time,” the notes said of Civitello’s commentary, apparently referring to Frazier, 78, and Dr. Steve Singh, a junior surgeon at the program until 2016 and the only St. Luke’s physician from that time who matches that description. Singh did not respond to requests for comment. In response to questions for this story, CMS said inspectors take handwritten notes during hospital visits and that it has the “highest confidence” that they accurately reflect what they see and hear. 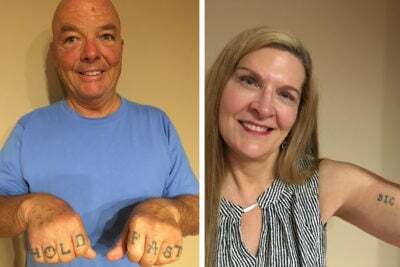 In 2015, seven out of 21 heart transplant recipients at St. Luke’s died within a year of their surgeries, significantly more than would have been expected. During a meeting with reporters in January about what led to the deaths, hospital leaders said only that the program slowed down that year and identified subtle ways to improve care. At the start of 2016, the hospital brought in a new surgeon, Dr. Jeffrey Morgan, to lead the program. The CMS notes were written in December when at least one inspector visited the hospital to evaluate its poor transplant outcomes. The resulting report, obtained early this year by ProPublica and the Chronicle, referred to a St. Luke’s physician who “explained that issues were identified with the major issue being surgical technique with one of the heart transplant surgeons, who was no longer practicing.” The document did not provide any additional details, but the newly released notes suggest that the statement referred to Frazier. Civitello was not the only St. Luke’s physician interviewed by CMS in December who discussed the program’s surgical staffing. The inspector also interviewed a St. Luke’s heart transplant surgeon, according to the newly released notes, who “explained that one surgeon had bad outcomes” in 2015 and that the deaths that year were due in part to the way in which the hospital was selecting patients eligible for transplants as well as the donor hearts it accepted for them. The unnamed doctor told the inspector that he was hired after the rash of poor outcomes in 2015 and that he reviews all organ offers; only Morgan matches that description. It is not clear, based on the details provided, which surgeon Morgan was blaming for the poor outcomes that occurred prior to his arrival at the program. Morgan did not respond to a request for comment and the hospital did not provide one on his behalf. Frazier, who started the heart transplant program in 1982, stopped operating as its lead surgeon sometime in 2015. In a previous interview, Frazier said that he merely consulted on heart transplants during the period in question and that he personally made the decision to stop operating that year because of his age. ProPublica and the Chronicle sent the hospital and its affiliated Baylor College of Medicine a list of questions about its interactions with Frazier and his outcomes, but the hospital declined to answer them “given the pending litigation between Dr. Frazier and the two of you, the Houston Chronicle, and ProPublica.” Frazer is suing the news organizations and its reporters following an article published about him in May. That article detailed, among other things, below-average one-year survival among Medicare patients who received an implantable heart pump from Frazier between 2010 to 2015, his final years operating. ProPublica and the Chronicle did not assess Frazier’s transplant outcomes. 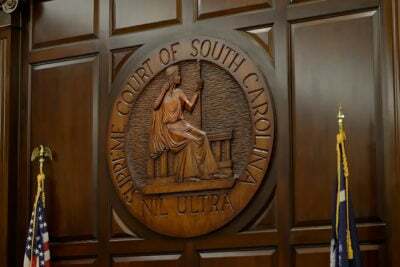 In previous interviews, as well as in the legal complaint, Frazier has emphasized his willingness to operate on “mortally ill” patients who have been turned away by other surgeons and are often at a higher risk of dying after surgery. Frazier has remained active in the heart program after 2015, conducting research and sometimes advising surgeons during complex operations. A newly published book, “Ticker,” which details Frazier’s decades-long quest to develop an artificial heart, touches on the hospital’s concerns about his surgical outcomes prior to Morgan’s arrival. Swartz, who reported spending many hours interviewing Frazier for the book over the course of several years, describes the relationship between Frazier and Morgan. St. Luke’s leaders say the hospital’s heart transplant survival rate improved significantly after Morgan took over, though some of his colleagues raised concerns about his surgical performance. 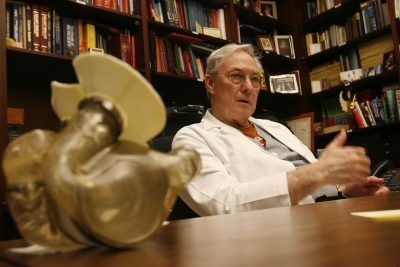 Some St. Luke’s physicians have blamed the heart transplant program’s issues in recent years on administrative changes that came after the hospital was purchased by Catholic Health Initiatives in 2013 and, a year later, entered into a joint-operating agreement with Baylor College of Medicine. But documents reviewed by ProPublica and the Chronicle show that St. Luke’s has had poor heart transplant outcomes in the past. Between 2000 and 2003, when the hospital was known as St. Luke’s Episcopal and the heart transplant program was still run by Frazier, only about 77 percent of the hospital’s heart transplant recipients survived at least a year, according to reports published in 2003, 2004 and 2005. 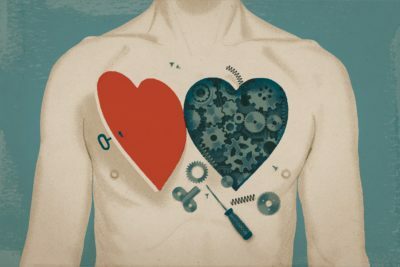 Based on an analysis by the Scientific Registry of Transplant Recipients that took into account the severity of patient conditions and the quality of donor organs, about 86 percent of St. Luke’s heart recipients should have survived at least a year over that period. St. Luke’s was one of a small number of hospitals nationally to be singled out for statistically worse-than-expected heart transplant outcomes at that time — the same finding that landed the program in trouble with regulators this year. But that was a couple of years before the Centers for Medicare and Medicaid Services began taking punitive action against centers based on their performance, and the hospital faced no public consequences. The hospital did not respond to questions about its performance in those years, citing Frazier’s lawsuit against the news organizations. 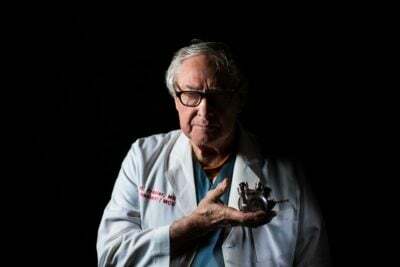 In 2007, Dr. James Young, a prominent Cleveland Clinic cardiologist, was hired to review the hospital’s heart transplant and mechanical heart pump program. Young’s report, which primarily focused on compliance with federal research protocols, concluded that the transplant and mechanical pump program “was rather autocratic with a leader who is opinionated and commanding in authority, but also an incredibly skilled surgeon and driving force.” Those issues, along with a willingness to operate on “futile patients,” likely contributed to “less than stellar” outcomes after heart transplantation, Young wrote. Young’s confidential report was made public in July when it was filed in Harris County District Court as part of the lawsuit against ProPublica and the Chronicle. It’s not clear what changes were made at that time. Mallidi — referred to in the CMS inspector notes as the “replacement surgeon” — was hired five years later, in 2012, around the same time the program’s longtime No. 2 surgeon, Igor Gregoric, left St. Luke’s to start a heart transplant program at neighboring Memorial Hermann hospital. Frazier continued to serve as the surgical director of heart transplants at St. Luke’s, and Mallidi was put in charge of lung transplants. Mallidi said recently that his relationship with Frazier did not factor in his decision to leave in 2015. Morgan joined the hospital six months later, in January 2016, and Frazier formally transitioned to a non-surgical leadership post focused on research. In their communication with federal regulators since then, St. Luke’s leaders have said the heart transplant program’s outcomes improved in 2016 and 2017, posting one-year survival rates at or above 94 percent, better than the national average. In June, however, CMS concluded that the hospital had not corrected issues St. Luke’s had previously identified, and two months later, on Aug. 17, the agency formally terminated the program’s participation in the federal insurance program. As a result, St. Luke’s can no longer bill Medicare or Medicaid for heart transplants, a move that could lead private insurance companies to follow suit. Experts say the losses could threaten the program’s long-term viability and force the hospital to restart the historic program from the ground up. Administrators say the program remains open and continues to treat the 83 patients on its heart waiting list, but the program — which historically has performed about 45 heart transplants each year — did not perform any in June or July, the latest months for which public data is available. Hospital officials did not answer Thursday when asked if the program had performed any heart transplants since then. **Tell Us Your Story: **Are you an employee, patient or a family member of a patient at the Texas Medical Center? We’d like to hear from you about your experience. Please fill out this confidential questionnaire.